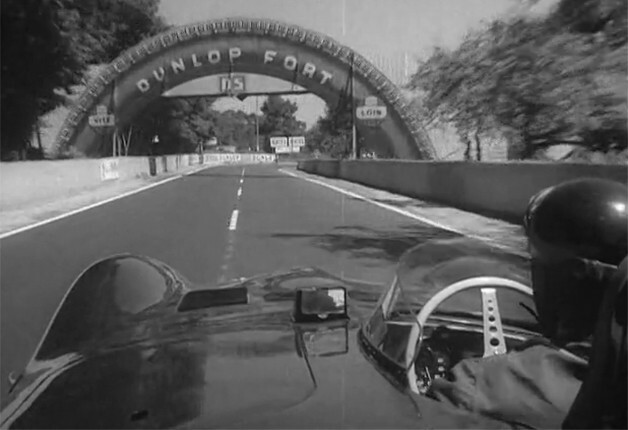 Mike Hawthorne and Ivor Bueb won The 24 Hours of Le Mans in 1955 driving a Jaguar D-Type. The following year, a few days before the race, a British broadcaster put cameras on Hawthorne’s car, hung a mic from a plate on his race suit and had him narrate a lap of the Circuit de la Sarthe. It is compelling viewing. A new pit complex was built after the massive accident on the front straight in 1955, but this was still a time when crews prepped for the race on roads that were open to the public. Hawthorne’s lap includes maneuvers to avoid bicyclists and cars, and gems like letting us know that doing 185 miles per hour down the Mulsanne Straight was where you could “relax a little, recover your energy.” Watch him work it like the men of old in the video here.